A great home theater is more than just a big screen and numerous expensive speakers. Recreating an authentic movie experience at home requires imaginative architecture, theatrical lighting, precise acoustics, and unparalleled comfort. That is what a private Lowell/Edwards CinemaTech Theater is all about. Lowell/Edwards CinemaTech Theaters are made-to-order home theaters, tailored to each client’s specifications. You will not receive a “theater-in-a-box”, but instead a one-of-a-kind custom design. Every Lowell/Edwards CinemaTech Theater is designed and engineered by a team of talented designers specialized in home theaters and hand crafted by a team of artisans. Lowell/Edwards CinemaTech has created several Signature and Classic Series theater designs that allow Lowell/Edwards CinemaTech’s clients to completely alter and customize any theater design into their very own. Lowell/Edwards CinemaTech also provides design services to create a completely custom environment for our clients from scratch. Incorporating the finest elements of one-of-a-kind custom theaters, Lowell/Edwards CinemaTech’s Signature, Classic, and Custom theater designs capture all the splendor and spirit of a legendary movie theater. From the budget conscious to the ultra-high-end consumer, Lowell/Edwards CinemaTech’s custom theater designs transform any room into a fully functional yet aesthetically and acoustically pleasing home theater with your personal touch interwoven throughout the design. So, invite your friends, impress your business associates and enjoy the awe as they take in the wonder of your Lowell/Edwards CinemaTech Custom Theater. Imagine living in a home that “thinks” for itself! Wouldn’t you like to take control of your busy lifestyle, and better manage your time? Be able to monitor your home security while you are out via your smartphone or tablet? Reduce energy costs and save money along in addition to helping the environment? Installing a Home Automation system can do all of this for you. Thanks to the amazing world of technology we now live in, it’s possible! Unify all of your home electronics into one integrated wireless network today with the latest technology from Lowell/Edwards. Our home automation systems are capable of making any home “smart”. Ultimately improving the safety, comfort, and efficiency of your property. What Can I Control With Home Automation? With the broad selection of home automation options offered by Lowell/Edwards, you can control just about anything you want in your home. Wireless home automation allows you to manage the lighting in any room in your home using a small handheld device. Control individual lights located in different parts of your home from your bed, the sofa, or while lounging next to your outdoor pool. Headed away on vacation? Then simply pre-program the system to automatically manage your lights in your absence. Take control by gaining full authority over your home’s lighting, wherever and whenever you want. Home automation programs can be wired to work with your home alarm system. This provides you with security and peace of mind. A wireless home automation system won’t just alert the authorities or your monitoring agency. It will also alert you on your cellphone, keeping you informed of any suspicious activity in and around your home. Integrated cameras and intercom systems can let you see and talk with unexpected visitors. Networked door locks can be controlled remotely to accommodate friends and family members. Home automation systems can also improve the safety of your property by using wireless security lighting programs. For example, with a home automation system you can set up your outside security lights to automatically “see” you and activate when you pull in the drive. You can also turn lights on inside your home before you arrive, meaning you will never have to come home to a dark house again! With a home automation system, you can finally have the convenience of total control over your electronic devices. You can even program your coffee pot to turn on at a specific time. Home automation systems can control thermostats, phone systems, home theater systems. Some can even be hooked up to control your lawn sprinklers! The ability to control and automate just about every device and appliance in your home certainly has its perks. Imagine being able to preheat your chilly bathroom floor before rolling out of bed on a cold winter morning? Or wouldn’t it be nice if you could dim the lights while sitting watching a movie? Without having to get up and flick the switch? That’s the convenience of home automation! Efficient and effective, home automation systems can also help you save money on your utilities. No longer will you be spending money on household appliances left running by accident. Plus, you’ll save on gas. You will never need to drive home in order to check to see if you’ve turned something off. These cost-saving reasons alone are often enough to justify the expense of a home automation system. The Hydra Designs Table adjusts from coffee table height to dining height, or anywhere in between with just a few easy pumps of the foot lever. Tired of hunching over his small coffee table whilst working and during meal times in his small NY apartment, inventor/designer and President of Hydra Designs, Gary Gianakis sought to create a table with many different functions and uses. Made out of chrome and glass (and now available in wood), he named it Hydra because it employs a hydraulic pump. The Hydra Table adjusts in height, spins, locks into position and rolls. Hydra is a table that turns sitting at the table into an event. Strong and versatile, it is available in many shapes and colors. Not only does it look good but it’s entirely functional! Brought to major markets including High Point, San Francisco, Chicago, and Tokyo. The Hydra Bar Table, perfect for using with stools or as a standing table. Lowell/Edwards is proud to be a long standing Hydra Designs dealer in the New York area. Over the years we have helped transform many small living as well as work areas into stylish comfortable spaces with Hydra Designs Tables. We invite you to visit the Lowell/Edwards showroom in Hackensack NJ. Come and see for yourself how these unique tables work and how they could make your life easier. The Hydra Woody Table features a beautiful wooden base, available in many different finishes to compliment your room. The Original Hydra Table with a stunningly stylish chrome base. What is this Ultra HDTV that you have been hearing about? Let us explain it for you. What is this Ultra HDTV that you have been hearing about? Ultra HD (also known as “Ultra High Definition” / “Super Hi-Vision” / “Ultra HDTV” / “UHD” / “UHDTV” / “4K” / “8K”), is a video format conceptualized by the Japanese public broadcasting network, NHK. On October 17, 2012, The Consumer Electronics Association (CEA) announced that the official term “Ultra HD” would be used for any display with a 16 x 9 ratio with at least 1 digital input cable carrying a minimum resolution of 3,840 x 2,160 square pixels. (also known as “Rec. 2020″) was posted on the International Telecommunication Union (ITU) website on August 23, 2012. Rec. 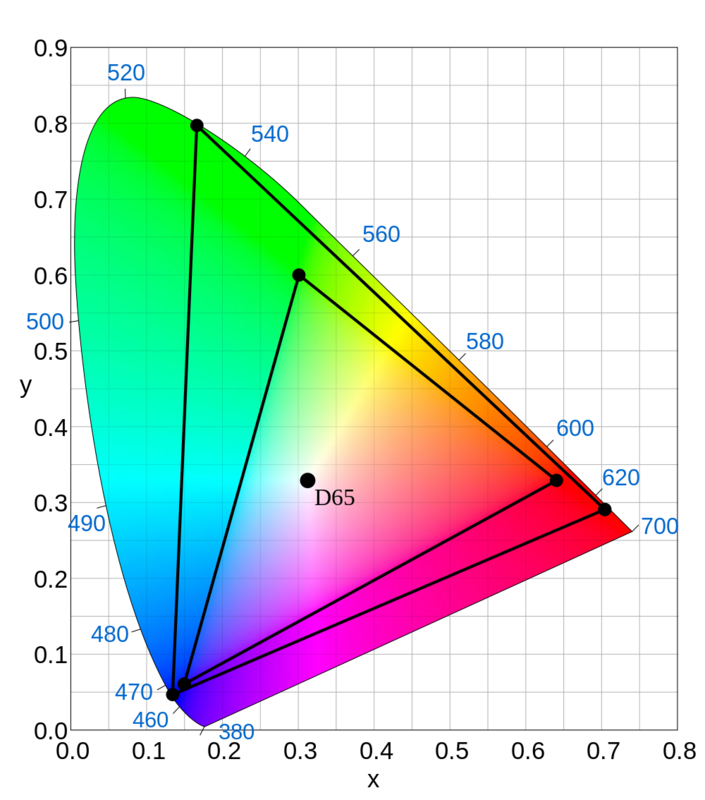 2020 defines various aspects of ultra high definition television such as display resolution, frame rate, chroma subsampling, color depth, and color space. 4K Ultra HD (2160p) has a resolution of 3840 × 2160 (8.3 megapixels), which is roughly equivalent to 4K cinema or 4 times the number of pixels in Full HD format (1080p). 8K Ultra HD (4320p) produces an astonishing 7,680 × 4,320 pixel resolution (33.2 megapixels), which is roughly the equivalent of an IMAX film or 16 times the pixel resolution of Full HD (1080p). Rec. 2020 allows for Ultra HDTV frame rates of 120p, 60p, 59.94p, 50p, 30p, 29.97p, 25p, 24p, and 23.976p. Only progressive frame rates are allowed. Rec. 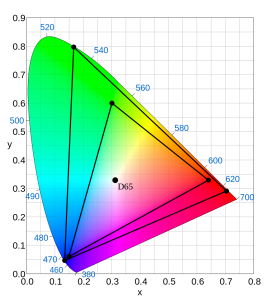 2020 defines an Ultra HDTV color depth of 10-bits or 12-bits. 10-bits per component Rec. 2020 uses video levels where the black level is defined as code 64 and the nominal peak is defined as code 940. Codes 0-3 and 1,020-1,023 are used for the timing reference. Codes 4 through 63 provide video data below the black level while codes 941 through 1,019 provide video data above the nominal peak. 12-bits per component Rec. 2020 uses video levels where the black level is defined as code 256 and the nominal peak is defined as code 3760. Codes 0-15 and 4,080-4,095 are used for the timing reference. Codes 16 through 255 provide video data below the black level while codes 3,761 through 4,079 provide video data above the nominal peak. Rec. 2020 specifies that if a luma (Y’) signal is made that it uses the R’G’B’ coefficients 0.2627, 0.6780, and 0.0593. Rec. 2020 defines the non-linear transfer function that can be used for gamma correction. 10-bits per component Rec. 2020 uses the same formula that is used by Rec. 709. 12-bits per component Rec. 2020 makes a single change in the formula in that the minimum point on a 0 to 1 light intensity range where the non-linear transfer function begins is raised from 0.018 to 0.0181. Both Rec. 2020 and Rec. 709 use Illuminant D65 for the white point. The Ultra HD 4K resolution of 3840 × 2160 simplifies video scaling from the popular high-definition source formats 720p and 1080p. A 1080p video source can be scaled perfectly by simply doubling each pixel horizontally and vertically, using 4 pixels on the Ultra HD 4K display to represent each pixel from the 1080p source. Similarly, a 720p source pixel can be tripled horizontally and vertically, using 9 pixels on the 4K display for each pixel from the 720p source. The 720p and 1080p resolutions will also evenly divide the 8K resolution of 7680 × 4320. In addition to the significant upgrade in video quality, sound quality is also significantly increased with Ultra HDTV. 24 channels of audio can be used with 24 speakers, producing a difference comparable to the Ultra HD video resolution. Currently, only 3 cameras are able to capture video in Ultra HDTV format, and can only capture about 20 minutes (requiring 4 terabytes) in a single day. Needless to say, our current infrastructure is not designed to meet the Ultra HDTV requirements. Several sources suggest that Super Hi-Vision technology will be used in the 2012 Olympics and will be widely available by 2020. September 29th, 2010 – NHK and BBC successfully broadcast a Super Hi-Vision signal from England to Japan. May 19th, 2011 – Sharp unveils its 85-inch Ultra HDTV prototype. April 28, 2012 – NHK unveils a 145-inch Ultra HD display. May 17th, 2012 – NHK transmits Ultra HD over-the-air. Call us for further details. We invite you to call us at Lowell/Edwards on 201-525-3300 for more details. Enjoy massive savings at Lowell/Edwards End of Summer sample sale! Lowell/Edwards Home Integration floor sample sale. This is a sale you definitely don’t want to miss! Lowell/Edwards is the ultimate destination for interior designers, architects, design enthusiasts as well as consumers. Lowell Kaps, president and owner of Lowell/Edwards tells you why you should take advantage of this great opportunity. Lowell/Edwards is located in Hackensack, NJ. Just 20 minutes away after crossing the GW bridge from NYC. Formerly, Lowell/Edwards was located for over 20 years in New York City’s world renowned D&D building. Lowell/Edwards is one of the nation’s leading custom home theater, home automation and custom cabinetry designers and installers. The team at Lowell/Edwards works with you, your interior designer or architect from the beginning to the end of your project. We strive to ensure an end product of outstanding quality. Contact them today to avoid missing out on these amazing bargains. NOTE: These sale pieces are demo floor stock. Finishes may vary and minor imperfections may exist. In addition, the individual condition of each item will be documented, quantities are limited and all sales are final. Clients are responsible for the cost of freight from the location of the item to its final destination. Lowell/Edwards proudly represents the following Product lines in the New York, New Jersey and Connecticut area. Autonomic Controls, Cinema Tech Seating, Crestron, Denon, Fortress Seating, Frame My TV, KEF Speakers, Leon Speakers, LG, Lutron. 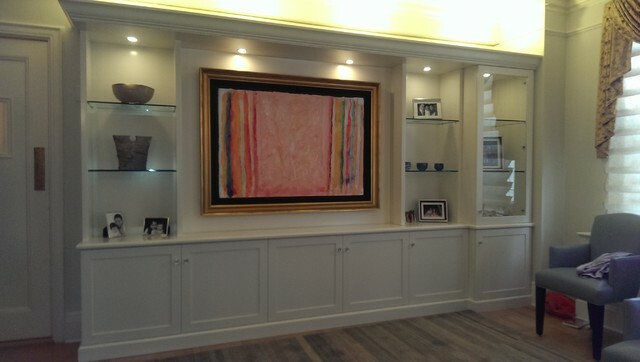 Serena, Lutron Radio RA2, Lutron QS, Middle Atlantic Products, NAD, NAD Master Series, Onkyo, PSB Speakers, Runco, Sonance. Speaker Craft, Stewart FIlmscreen, Samsung, Seura Mirror TV, Toshiba, Triad Speakers, Vutec ArtScreen.